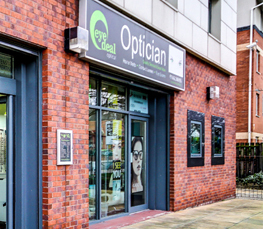 Eye Deal Optical is an independent, family orientated Optician, established in 2007, based within the One Life Centre on Linthorpe Road in Middlesbrough. We focus on providing high quality eyecare and outstanding customer service for all of the family. 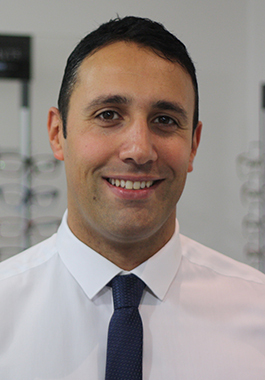 Our team keep up to date with all the latest fashion trends and lens designs and are always on hand to help you choose your new prescription glasses. Our Opticians can cater for all your eyecare needs including the fitting and provision of all types of contact lenses. Eye Deal Optical can provide free parking for all of our clients and cater for both Private and NHS patients. We offer a 30 minute eye examinations to allow full thorough checks for all our patients. We use state of the art equipment for both the eye examination and in the production of spectacles allowing us to deliver the highest level of clinical care to our patients. Our commitment to clinical excellence allows us to offer digital retinal photography complimentary to all patients. 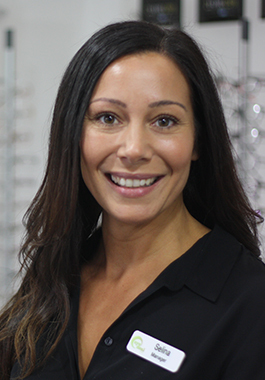 Our experienced core front team, have a combined knowledge of over 50 years and have a wealth of experience to cater for your individual eye care needs. We are proudly independent and so are not tied to anyone. Our flexibility allows us to source the best products at the best prices and offer our patients great value for money. 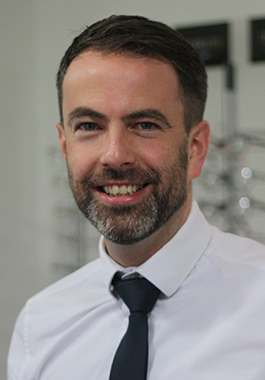 Matthew qualified from Manchester University in 2001 and has worked for both large high street practices and Independents. His further training means we are part of the local cataract and ocular pressure schemes and he takes a keen interest in the clinical aspect of Optometry. He has been resident with us since 2017 and he lives in Saltburn with his wife and young children. Ben qualified from Bradford university in 2003 and has been with us since 2007. He specialises in domiciliary/home visits for patients in the area who are unable to attend the practice. He was born and raised in Middlesbrough and away from work is passionate about Speedway. Selina is our Practice Manager and has been with us since 2008. Her experience and skill in dispensing spectacles ensures that patients are given the best advice possible in choosing the perfect frame. She lives in Middlesbrough with her family and is Ben’s sister. 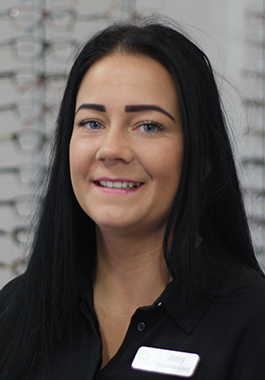 Born in Middlesbrough, Jenny has been with us since 2009 and is very competent in dispensing and customer service. She is well known amongst our existing customers and is an invaluable member of our team. She still lives locally and has a young daughter. Jay has been with us since joining as an apprentice in 2014. 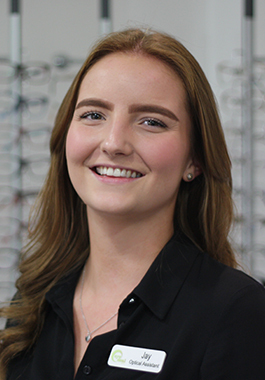 Her enthusiasm for the role and friendly personality were immediately apparent and she has a keen eye for fashion and choosing the right frame for the patient.